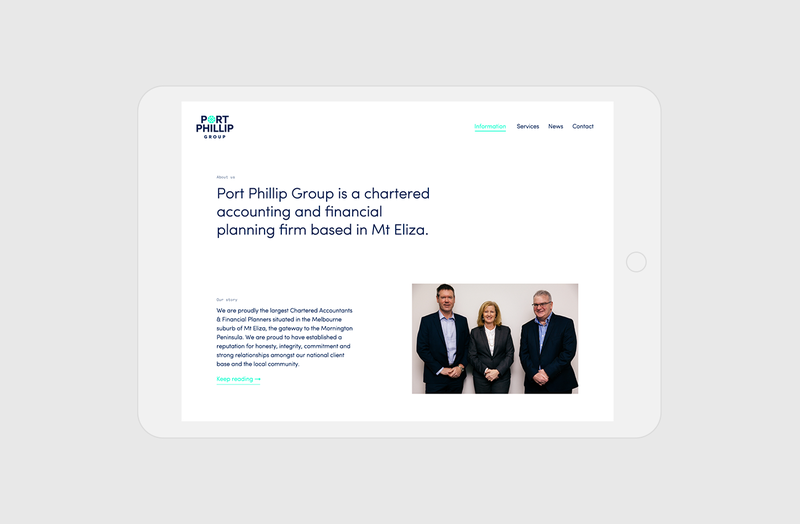 Port Phillip Group is a chartered accounting and financial planning firm based in Mt Eliza offering business and taxation services, SMSF, financial planning, and corporate secretarial. 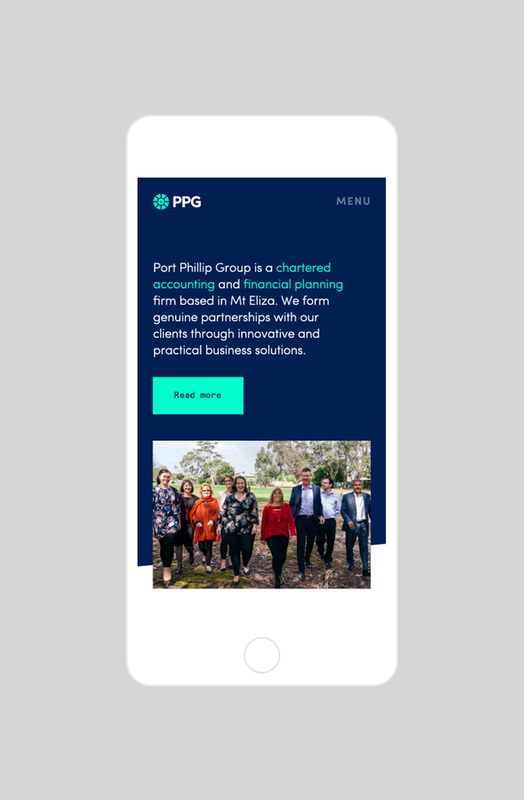 After many years as a pillar of the local business community, Port Phillip Group began to see their brand waver in the face of fresh, youthful competition. 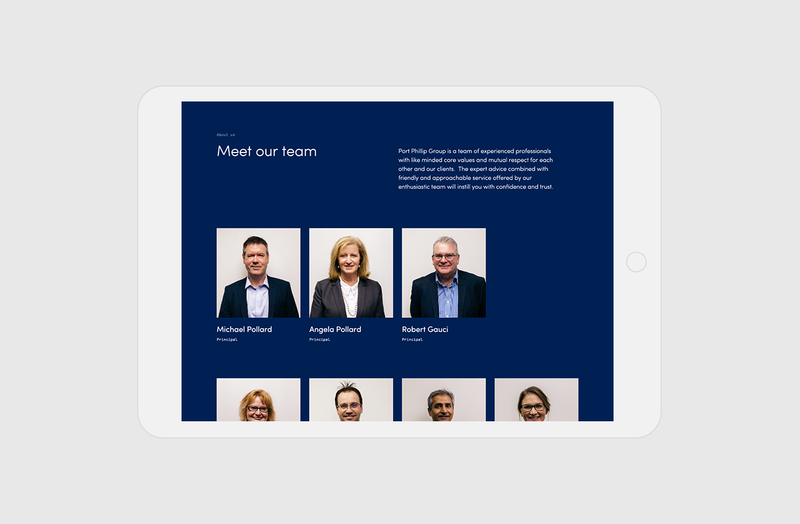 We set out to create a new brand identity that emphasises their history, experience and community roots, while presenting them as a bold and innovative market leader. 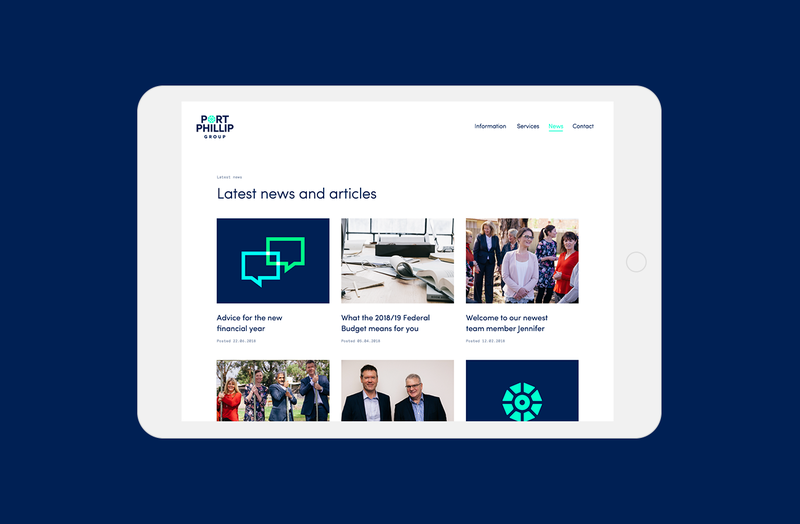 When we were engaged to revitalise the Port Phillip Group identity, we began with a series of in-person workshops with key stakeholders, including directors and staff. The key outcomes from these discussions were a desire to present the company as brave and fresh but with clear reference to their experience and stability. 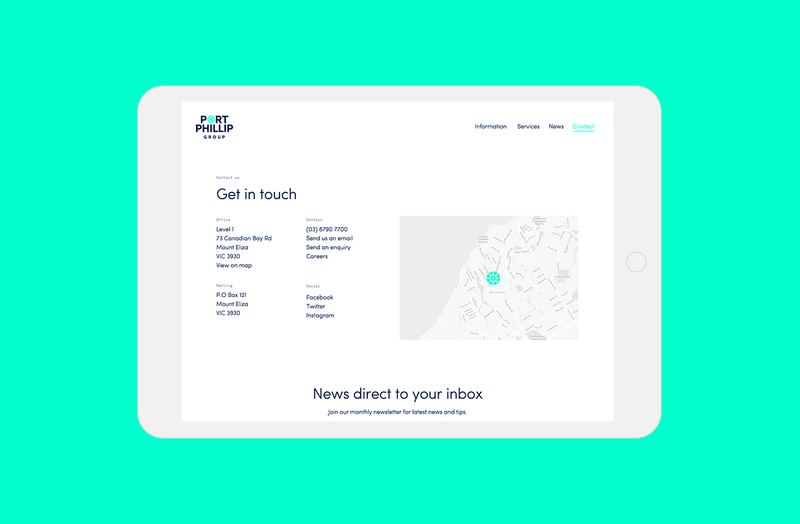 Key to the new Port Phillip Group identity is their physical location near Port Phillip Bay. 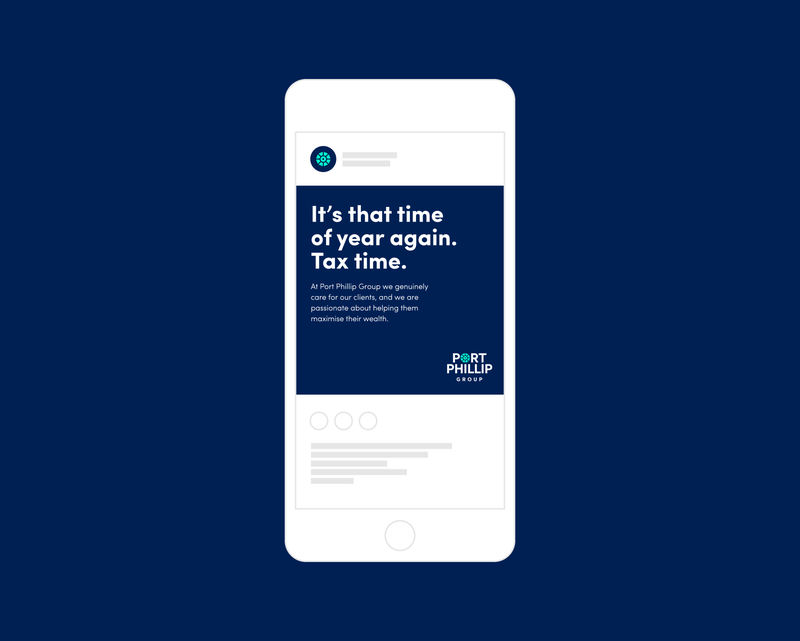 Drawing a direct connection to their previous brand, the new logo is built around a ship’s wheel — the guiding force providing direction and stability for their clients. As part of the brand refresh, a suite of new stationery was created, leveraging the brand’s vibrant colours to create impact and coherency.